Ranveer Singh shot fame with Sunday in which he teamed up with Arjun Kapoor. The movie ended up as a huge hit and showcased the duo in a mass role. Then came Ram Leela which showcased a matured side of Ranveer Singh. The movie ended up as a huge hit and Deepika Padukone played the female lead. Deepika Padukone is one of the most sensuous actresses in Bollywood cinema and she emerged as the leading actress with her performance. She has done challenging roles which made her sit on the top of the Bollywood chair. Deepika has done movies like Ram Leela and Piku which made her the leading actress in B-Town. She then teamed up for Ram Leela with Sanjay Leela Bhansali which proved her acting skills on the main screen. Deepika’s outstanding performance in the movie has been well appreciated all over and she emerged as one of the top actresses in Bollywood. Sanjay Leela Bhansali after scoring a super hit like Ram Leela teamed up with Ranveer Singh and Deepika Padukone for the movie Bajirao Mastani which happened to be the dream project of the versatile director. The movie has been made on a massive budget of Rs 210 crores and the movie has been shot in exclusive locations of Maharastra and Gujarat in hugely erected sets. The movie has been made on a massive scale and faced tough competition from Shahrukh Khan’s latest movie Dilwale which has been directed by Rohit Shetty. Bajirao Mastani opened to average mouth of talk and the movie received positive mouth of talk. The movie collected Rs 46.77 crores in its opening weekend and the movie witnessed huge growth during the weekdays. The film has been dominated by Shahrukh Khan starrer Dilwale during the first weekend but the movie gave tough competition for the film over the weekdays. 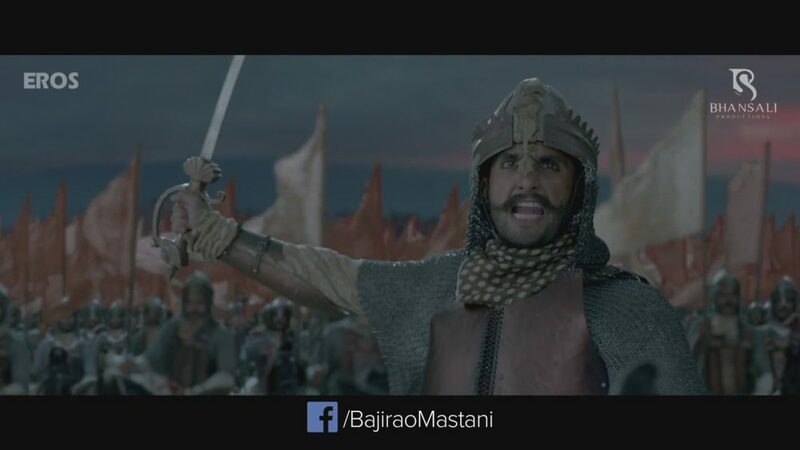 Bajirao Mastani collected Rs 165.20 crores in 21 days of its box-office run. The flick has been produced by Sanjay Leela Bhansali on Bhansali Productions banner and Eros International acquired the theatrical rights of the film all over. Ranveer Singh shared the profits of the film which emerged as one of the biggest hits in Bollywood in the recent times.